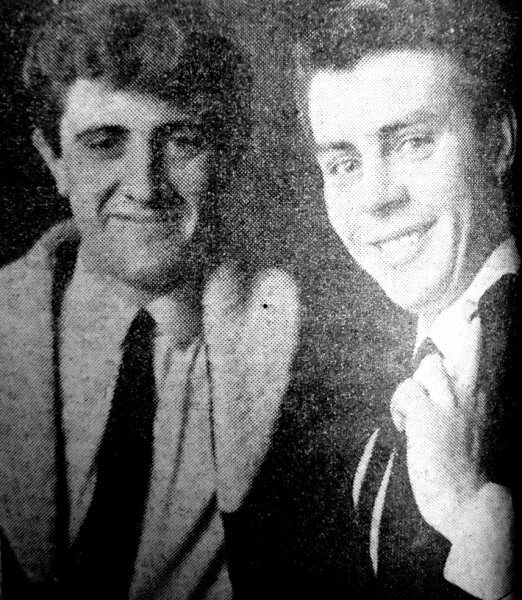 it took 37 years but finally TOM E. KING.was reunited with his ex manager and friend, ALAN JONES with the help of the internet and ROBERT CROCKET MAGEE , who was the tenor sax player with THE OCEANS SHOWBAND also managed by alan . 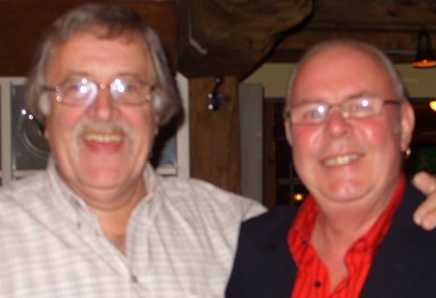 it was a great reunion for both of them , so a big thanks to you CROCKET for what you did. ------pictured below is ALAN JONES on the left and TOM E. KING on the right, taken 2008.-------- the bottom picture of ALAN and TOM was taken in 1965.